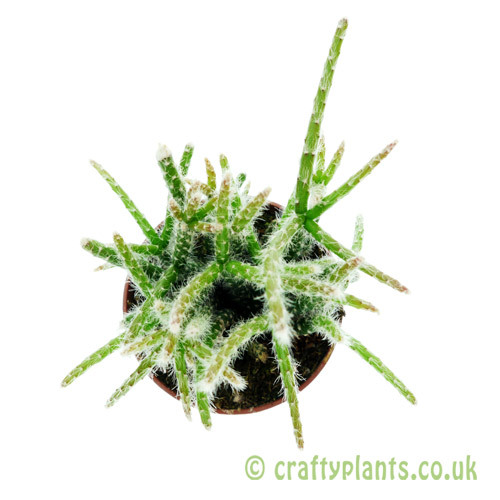 Unusually for the genus, the thin cylindrical stems of Rhipsalis pilocarpa are covered in small white hairs giving the plant an attractive silvery appearance. One of the epiphytic Rhipsalis, pilocarpa naurally grows rooted in moss and survives largely on atmospheric humidity rather than absorbing water at the roots. 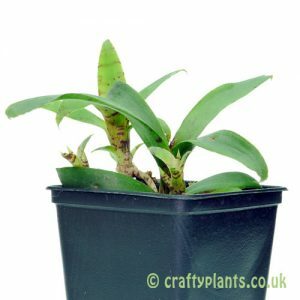 Like most Rhipsalis, pilocarpa produces small white flowers, although they are normally under 1″ accross they can be produced in high quantities and spread over a long period. Rhipsalis are the most widespread species of epiphytic cactus. In the wild Rhipsalis naturally grow attached to trees where they can root into moss for stability. 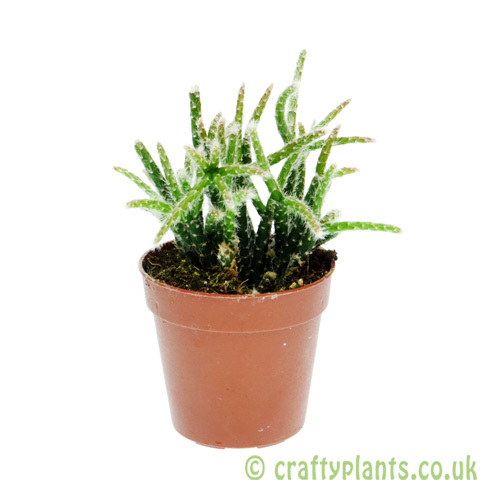 When growing Rhipsalis as a pot plant, they need humidity rather than lots of watering. 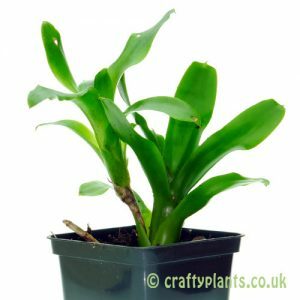 Rhipsalis grow best when planted in free draining compost to avoid them sitting in water. 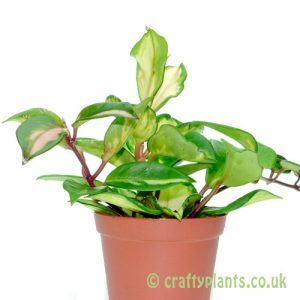 To encourage healthy growth, they can be misted and fed as a supplement to watering the pot. They prefer diffused natural light. 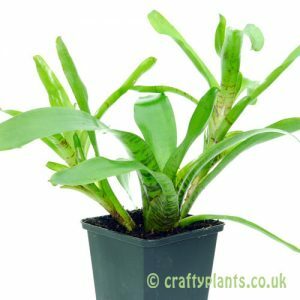 A very tolerant plant, Rhipsalis will survive small periods of neglect, making them a great plant for the not so green fingered!